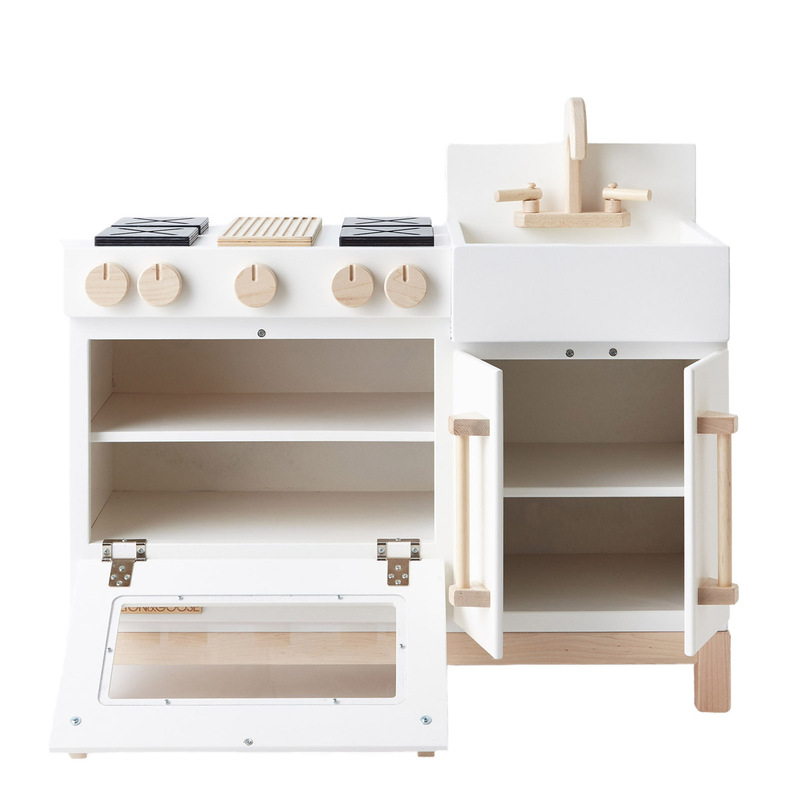 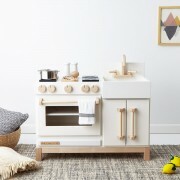 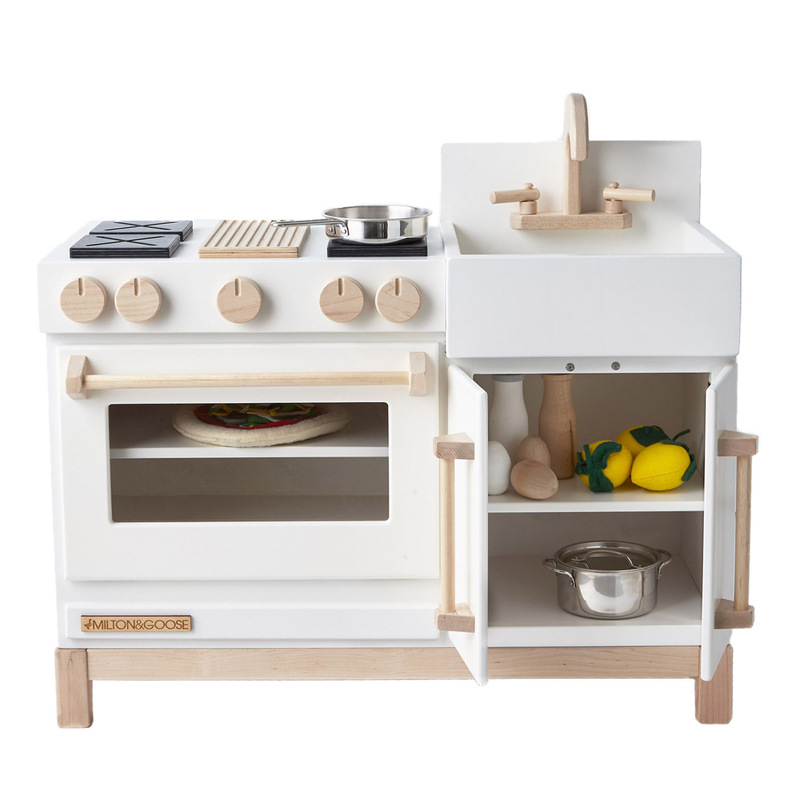 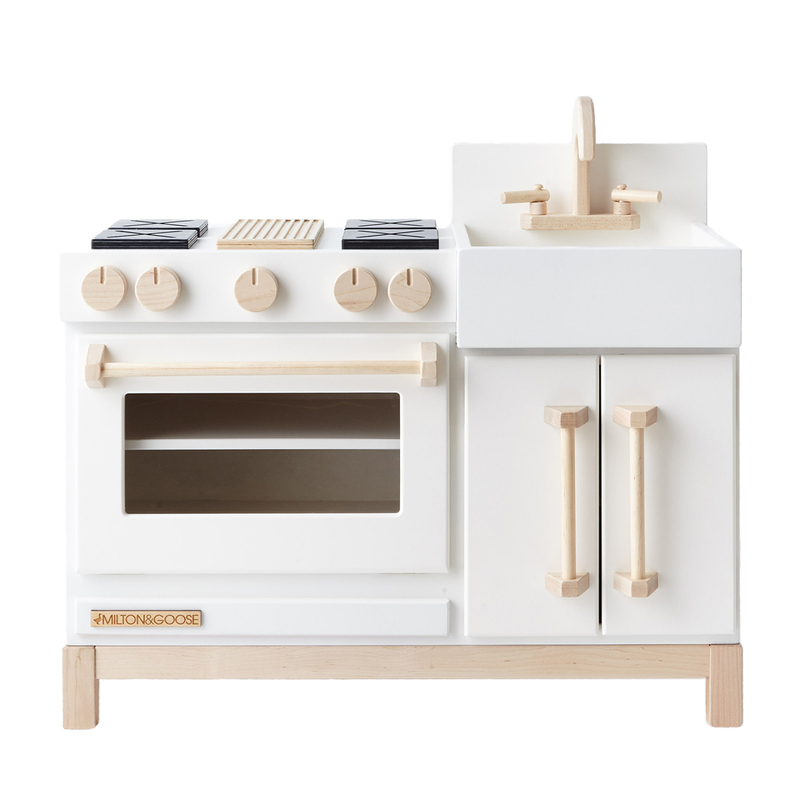 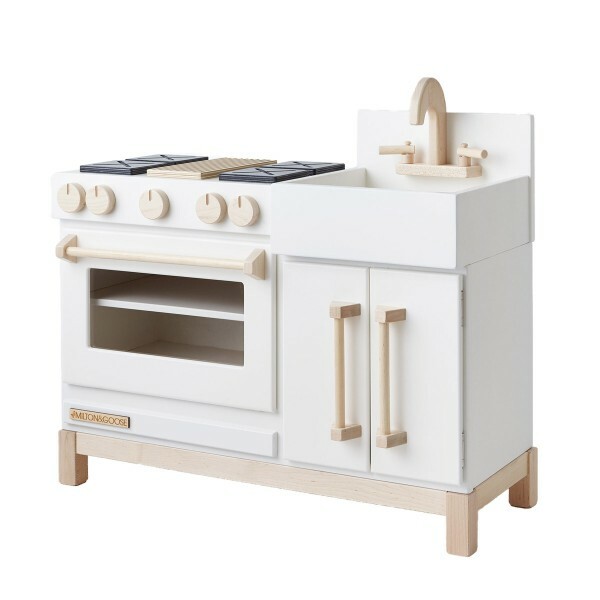 The Milton and Goose Essential Play Kitchen is a fantastic way to encourage imaginative play and sharpen your child’s vocabulary, math skills and gross motor skills, all while having loads of fun. WARNING: Contains small parts and is not suitable for children under 3. Do not climb. 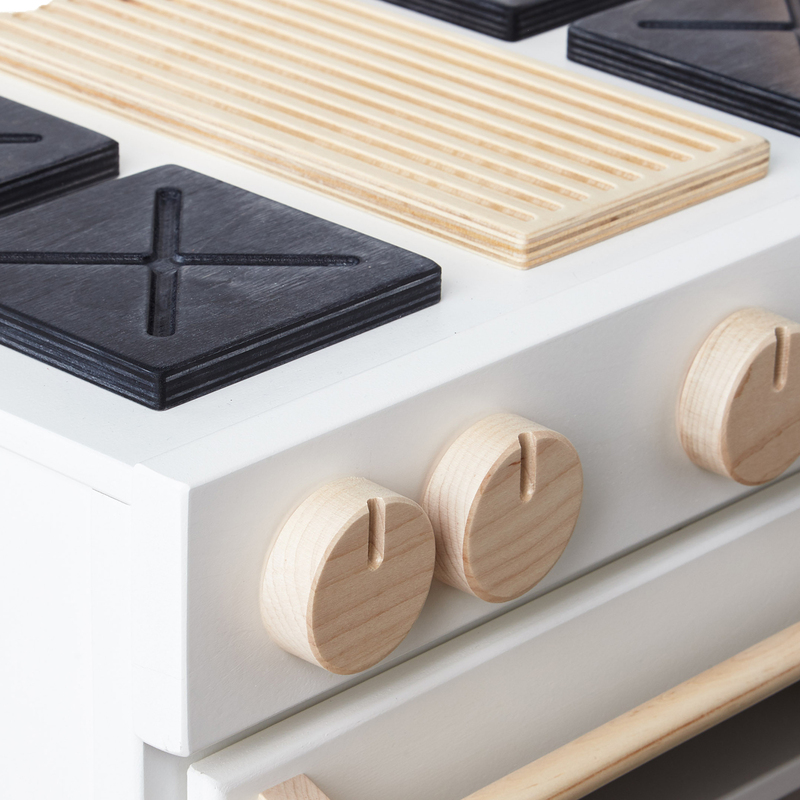 To prevent tipping, place on flat surface against wall.